How to accelerate account growth? As any good investor knows, when you are looking for a binary options platform with which to invest one of the first things you need to review is whether or not the platform you’re interested in is regulated by an internationally recognized regulatory body. Each country, or area has their own regulatory body which work to protect consumers and ensure the trust and integrity of their respective financial markets. To learn more about financial regulatory bodies around the globe see our page on regulation. Who determines if there are UK regulated brokers? In the United Kingdom, the duty of regulation, prosecution, and protection falls upon on the shoulders of 4 different bodies each with different responsibilities and objectives set up by the Financial Services Act of 2012. 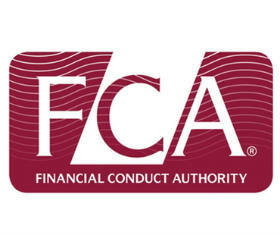 For our purpose the most important organization is the Financial Conduct Authority (FCA) as it is responsible for the regulation of binary platforms. What does the FCA do? The UK’s Financial Conduct Authority aims to maintain investor trust in the companies they regulate. When you see a company is authorized by FCA you should feel safe in the knowledge that you can find appropriate and fair products and services. Are they any FCA Brokers? In plain English this means that, although the FCA does not at the moment regulate binary trading, binary platforms which are registered with regulatory bodies in other EEA countries – CySEC in Cyprus, are able to provide services and products in the UK. Will there be FCA brokers in the future? Probably. As of the first half of 2015, the Financial Conduct Authority was reviewing was to take on the duty of regulating binary options firms. Stay tuned to our daily news section so we can update you on any changes in the way the UK and its regulatory body the FCA approach binary options. Trader, Investor, Researcher, Innovator and always looking for new opportunities.